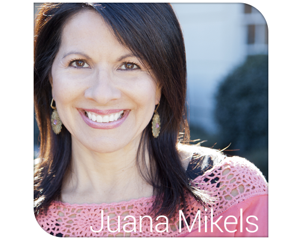 JuanaMikels.com: Wednesday's Prayer Girls & Link-Up Party! 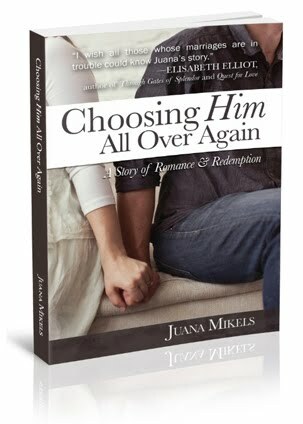 Book Giveaway Winner Announced from Last Week! Wednesday's Prayer Girls & Link-Up Party! Book Giveaway Winner Announced from Last Week! Welcome everyone to Wednesday prayer on my blog! Last week I went live with my first Link-up party and offered a giveaway of a new leather-bound copy of Nancy Leigh DeMoss' Daily Devotional, "The Quiet Place." I asked my daughter, Mary, to pull one name out of a basket of each person's name who left a comment or did a link up post last week. And the winner is ........ Jana Hagan! Congratulations Jana! 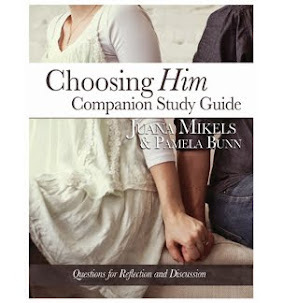 Just email me your physical address to juanamikels(at)gmail(dot)com. It's time to enter your prayer requests in the comment section below. It's my joy to pray for you, and for readers to pray for one another. For those of you that are bloggers, please list your blog in the link up section below! I'd love you to enter my Wednesday Blog Button on your blog or a link to my post, but it is not necessary! The Link-Up below is really easy! I did the first one, if you are a blogger, please share your exact link below that you want to post after clicking the words below to get started click here! Below the link up thumbnails, you will see the comment section. Share your prayer there! We all need prayer, share yours! I did the first prayer for you, too. Enjoy visiting the blogs below, and consider encouraging the blogger by leaving a comment! Praising God my headache of 4 consecutive days is gone! Please pray that I will overcome some bad habits with good habits concerning my time. I get a lot done, but not in the right order which I need God's help to change. My BIL was diagnosed with Hodgkin's Lymphoma and the chemo has really made him sick and very weak. Please agree with us for strength and healing for Korey. Praise God, Juana!! Lifting you up. Heavy hearts here in Massachusetts~ prayers for all those affected by the marathon bombings ~ praise for my friends and their families who were there and are all safe. Prayers, also please for my husband's job, which has drastically cut back his hours. We, like so many others, are barely making ends meet and could sure use some more work. Praying that all the Prayer Girls are feeling the love of the Lord!! Hi Jude! Yes, we join you in praying for those affected by the marathon bombings. Dear Heavenly Father, This world is marred by sin. Thank you that you made a way to transcend all the ugliness of the world through a relationship with you which brings peace, comfort, and security no matter what our circumstances are. Lord, help the people of Massachusetts affected by this terrible senseless tragedy to turn their hearts toward You. You are the only way of salvation dear Jesus. May our desperation with our own sin and the sins of others turn us in repentance toward you for love, grace, and mercy. Thank you Lord that you never turn those away who truly seek you. We also lift up Jude's husband's livelihood Lord. You know the need there. Help him Lord to find work. Thank you for providing day by day. Amen. Discouragement seems to be my best friend. Another job interview resulted in another rejection today. Our family is going to have to move soon because we cannot afford to pay the rent for our apartment. The car stopped running last week and we cannot afford to repair it. We are begging God for rescue or a breakthrough but things only seem to get worse. Please keep us lifted up before the throne of grace. Let us pray for you dear one. Loving Lord & Heavenly Father, Your child is calling out to you for help, & I join my voice with hers. You tell us in your word what loving father would offer a stone when his child asks for bread? Lord, you care about us! You care about our basic necessities for life. Lord, will you see to it that my friend has the basic necessities for life. Lord, help her not to worry but to trust you. Help her not to believe the enemy's lies, but help her to remember that the truest thing about her is what YOU say about her. Help her not to get discouraged when she is rejected from a job interview, but to identify with you when you were rejected by men. Anything that drives us to You is your mercy. Help her to know that she knows that she knows that you love her, and that you are going to take care of her no matter how strange the path may seem. All of our hope is in YOU Lord. Thank you that you are going to meet my friend's basic needs. No matter what, help her to have a thankful & trusting heart in your faithfulness. Amen. Juana, I wanted to let you know that I am praying this morning that you can get some relief from your constant headache! I pray the Lord will be with you today as you cope with all the many things that consume your day and that you can be organized and keep things working in a timely manner! I am also praying for all those affected by the Boston tragedy ! I am praying for Kobey as he goes through the recovery process from chemo! I also want to lift up those that are dealing with financial hardships! I am asking that you say a prayer for me as I will be going to have a diagnostic mammogram on Friday morning! I will continue to pray for everyone that needs prayer today! Blessings to all of you! Anita B. Thank you Anita! My headache has had a breakthrough after 4 days. I am so thankful that I have been delivered from the constant pressure! I'm so thankful! We lift up Kobey today as he recovers from chemo. Let's agree also to lift up the ones above who need help in dealing with finances. Let's also pray God will protect their marriages & they won't fall for the enemy's trick to get them arguing about finances. He will do anything to destroy Christian families! Lord Jesus, I lift up Anita to you right now as she prepares to have a mammogram this week. Thank you Lord for mammogram technology which has helped countless women. How wonderful Lord that Anita will be evaluated this Friday and we ask for a good report from it. Amen. Please pray for my daughter in law. She is unsaved, pregnant, undergoing chemo for breast cancer. Terry, I am so glad you wrote. Loving Lord, you see Terry's daughter-in-law. I don't know her or her name Lord, but it doesn't even matter, because you know her and know everything about her. You created her. Lord, will you touch her with your love and grace today Lord and in the coming days ahead as she carries a child in her body. Lord, we pray that she will be healed of the breast cancer and for it not to return in Jesus' name. We pray the baby will be healthy, and we pray that the whole household will be saved for your name's sake and for your glory. Lord, come quickly, Lord, come quickly to this mother. Oh, Lord, that she would have the blessing of knowing You in this storm and in the blessings of life. Turn her heart Lord toward YOU. Amen. Thank you Juana. I sent that tweet quick this morning. My daughter in law's name is Stephanie, and I appreciate all that are praying for them. She is very strong and doing well....and I know this is in God's hands. Today was treatment #3. Our little granddaughter is due in June. They have 3 other children. I am praying God will be revealed through this, and she will come to understand who He is, and how to enter into a relationship with Him. Thank you all so very much. Pray for us to have wisdom and discernment as to how to deal with all of it as well! Terry we will keep praying for Stephanie! Keep us posted! She is a blessed woman in her family, and to have you praying for her! I ask that His hand be on my shoulder to guide me as I speak with three Women's Small Groups through Needle's Eye Ministries, this month. I am acting as an Ambassador of sorts; and as I heard quoted yesterday on a program scheduled each morning on Liberty University's radio station: "It is with pleasure that I serve the Lord and our Savior"...use me for Your Perfect Will, Sweet Jesus. May God bless you as you go out in His name! You must be so excited:-) Nothing can compare with taking the good news of Christ, can it. The gift of all gifts! You go girl! Dear Lord, empower my sister as you goes out to do your Kingdom work! May your will be done, Amen. My stepdad was in a car accident a few hours ago. Praise that it doesn't appear that he has any serious injuries, just bruises and cuts. Pray for the elderly couple in the other car, who had to be transported to the hospital. Also, I've been having trouble sleeping lately (trouble going to sleep, waking up multiple times during the night, occasional bad dreams). The bad sleeping pattern is catching up to me, and I'm very tired. Pray that peaceful, restful sleep will return. Praise that God blessed the time that I took off from work last week when I was burned out and depressed. I was able to return to work with a new perspective, particularly when it comes to dealing with stressful situations. So THANKFUL to have won! Not going to post my blog link this week since I have yet to write a new post. That is one of my prayer requests. My main requests are about the same, next weeks Memorial Service for my father-in-law. Especially prayers for my husband as he will speak. Also for the weather and all the details to be worked out. 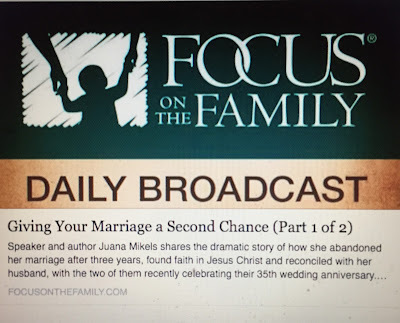 Second request is for a job opportunity that has presented itself to my husband, prayers of discernment of whether or not to accept and for all the details that need worked out to go smoothly if it is God's will for him to accept the job. More prayers for our 16yo Cameron. There is nothing really bad he is doing, he is just not taking pride in his school work. It is very frustrating because he is very bright. But is not doing his best work, and we need to be consistent. Thanks again, love Wednesday Prayer time! Hi Jana! Your book will go out to you by Friday! Remember you can always post an older post. It doesn't have to be a current one, just one you think others may enjoy reading. We will continue to lift up Cameron, your husband, and the service next week. Lord, guide the Hagan family in all they do, from Cameron's school work and to the livelihood of Jana's husband. Lord, help them to seek You with all their heart as I pray that for myself, too. May the service bring glory and honor to your name, Amen. Juana, thank you for you prayer ministry. Lord Jesus, I lift up Juana to you. I thank you for giving her relief for her headache and I pray for her as she desires to honor you with her time. For some reason the rest of my message was deleted. So picking up wher I left off... In Jesus' name, Amen. I am serving with WMU NC this weekend at Missions Extravaganza and would love your prayers that I would be used by The Lord to advance His Kingdom. Thank you! Hi Cindy! thank you for your prayers, my head has not hurt in 48 hours, Praise God! Thank you also for praying about my time. I need God's help to guide me. Dear Lord, I lift up Cindy to you. Lord, help her to be your ambassador this weekend at the WMU NC event. May she be patient, loving, and kind to all those in her path, starting with her family at home as she prepares to leave, and then as she serves outside her home. We need you to live through us Lord, we cannot live the Christian life, It is not hard, it is impossible. But you can live it through us! Thank you Lord that you choose to use your servant Cindy to advance your name!! Amen. Just tripped a crossed your blog. Looking forward to following you! Visiting from www.aheartforthehome.com Blessings! Welcome, Jennifer! I'm so glad you took the time to write. I 'd love you post a blog link below or for next Wednesday to make it easy for all to blog hop! Hi Jacqueline, Your posts do not have to be about prayer, they can be any topic of interest to Christian women. I am lifting up your sister-in-law again today, and for God to give you peace with all the distance between you. Don't you love that distance doesn't hinder prayer? Love to you!